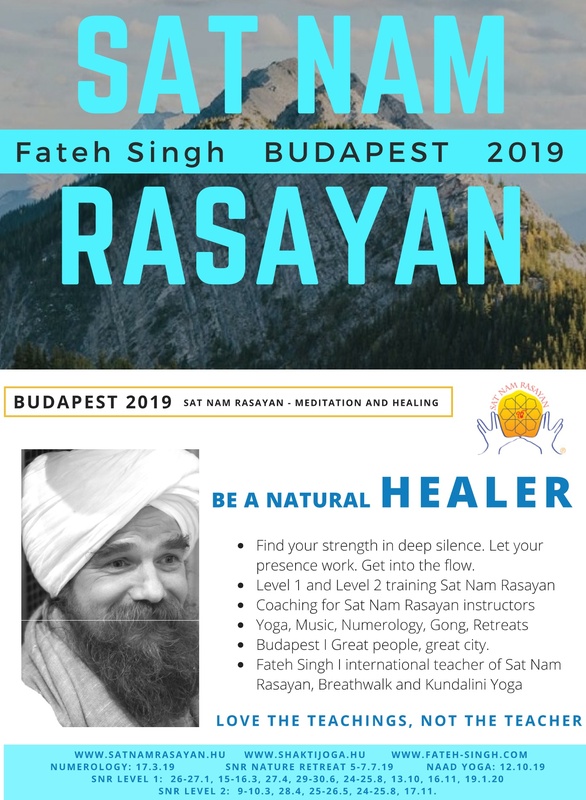 Sat Nam Rasayan healing with Fateh Singh Khalsa (Germany) Sat Nam Rasayan® - Yoga - Meditation "Listen to the silence, wherever you are, is a simple and direct way to be present. Sat Nam Rasayan teaches a wonderfully easy approach to dealing with the rush and stress of life. An unforgettable experience that can bring many new turns and breakthroughs in your life. It opens up your possibilites and is the best way to become a real meditator and healing practitioner! This ability will infuse all spheres of your life and you begin to perceive yourself and those around you at a much deeper and subtler level.